Are you bored with your current hair colour? Would you like to try something new, but you're not sure which style is right for you? No matter which hair colour or style you're considering, you've come to the right place. We'll even explain the difference between ombre and balayage--but more on that later. For now, let's take a look at the hottest hair colour trends for spring 2018. 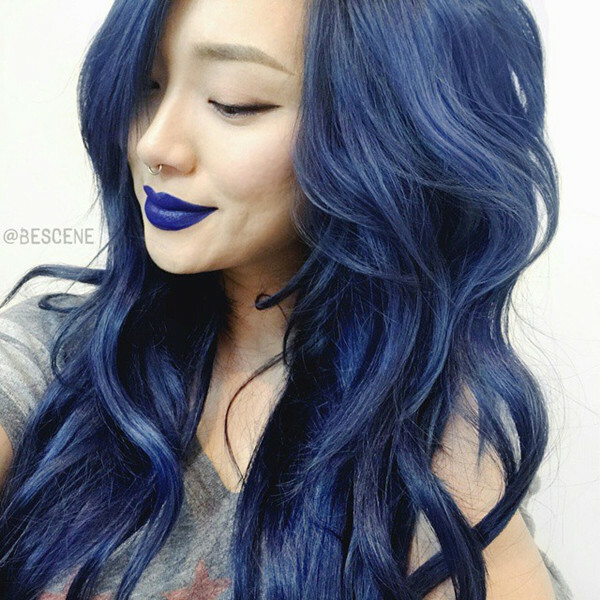 This stunning shade just made the top of L'Oreal's "Hair Colours of the Year" list. A refreshing change from Millennial pink, this rosy gold hue is both ultra-soft and ultra-modern. You can lean more towards blonde--or more towards pink--depending on the statement you hope to make. If you've been covering up your grays for years, 2018 might be the year to let them grow in. One of the most popular hair colour trends we're seeing this year is natural (or dyed) shades of gray. Smoky grays and charcoals lead the way, along with more dramatic silvers. Taking inspiration from our sweet breakfast favourite, this fun hair colour is perfect for brunettes seeking a trendy new look. To get it, have your stylist combine highlighted portions of caramel blonde with bold red. You can go as subtle or as bold as you dare! Look as classy as the glass in your hand with a beautiful shade of wine red. Whether you call it burgundy, mahogany, maroon, or eggplant, this is one of our favourite hair colour trends for 2018. It's perfect for women with black or dark brown hair who want a subtle but elegant change. One of the hottest trends in 2018 is jewel tones. We're seeing it in jewelry, fashion, nail colour--and, yes, also in hair colour trends. Women with naturally black hair will look gorgeous with this beautiful hue. Think dark denim, deep emerald, or dark teal. These colours work perfectly for an ombre or balayage style. Not sure if blue, green, or purple is the right look for you? That's fine. You can achieve an updated but still natural look with subtle, face-framing "babylights." These soft highlights are so perfectly blended everyone will think they're natural. Ombres have been popular for a while now, but dyeing your ends isn't the only option. You can jump onboard the still-popular rainbow trend with bright colours throughout your hair--or just the roots. For a dramatic and modern look, consider dyeing only your roots with a bold colour. You might choose red, blue, pink, blonde, or whichever colour you love. Along with gray, shades of chocolate are slated to be one of the most popular hair colour trends of 2018. If gray or rainbow colours are too bold for you, try this more natural-looking hue. It will warm up your features while maintaining a subtle and classic style. If you've got a fiery personality, why not choose a hair colour to match? Shades of copper, burnt orange, and peach will be all the rage in 2018. You can go subtle with a few highlights and lowlights, or make a splash by dyeing your whole head. Want to go blonde but worried about the maintenance? No worries! Follow Selena Gomez's style with blonde locks while leaving your roots and eyebrows dark. It's trendy and flattering and won't require touch-ups every few weeks. Who says your favourite childhood sandwich wouldn't make for a beautiful hairstyle? If you're looking for a bold, trendy style, try this two-tone look that combines golden blonde (peanut butter) with shades of purple (jelly). Thanks to Hollywood's endless string of fantasy films, fantasy hair colours aren't going anywhere anytime soon. Want to try it out? Violet is an excellent choice for women with naturally dark hair, as the purplish hue doesn't require lightening your hair first. What if your hair could look like a beautiful summer sunset? 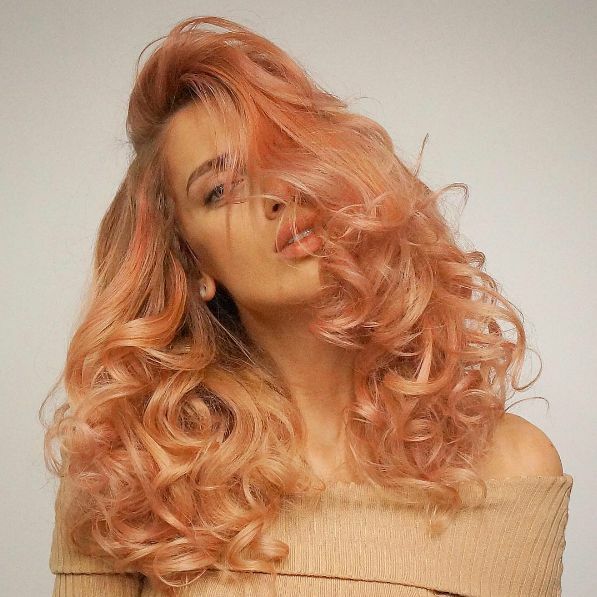 That's exactly what you'll achieve with this colour that blends charcoal, tangerine, and blonde elements. This dramatic ombre features sooty roots, bright orange in the midsection, and blonde ends. Teens and 20-somethings loved this colour in 2017. That trend will spill right over into 2018. 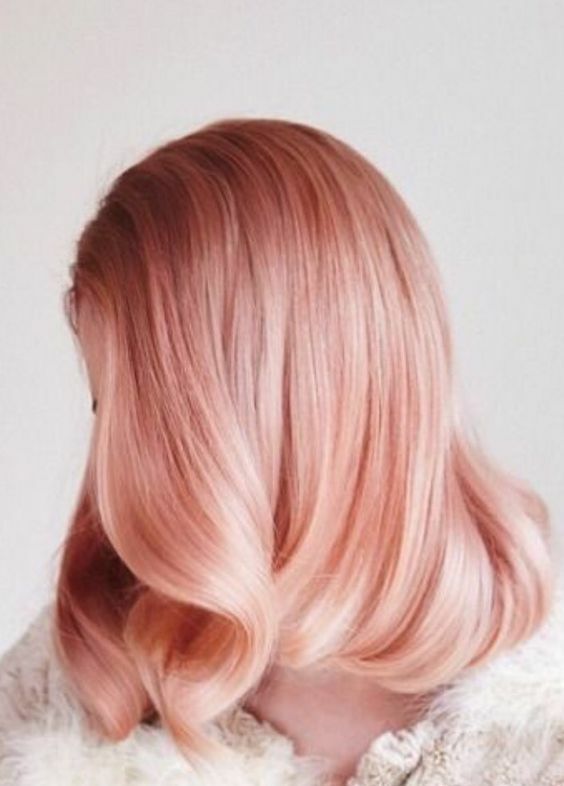 Somewhere between a soft blush and cotton candy pink, this hair colour is hip, bold, and perfect for young women seeking their place in the world. Love the jewel tone trend? Make your hair sparkle like a gemstone with this beautiful ombre! Tell your stylist to add shades of amethyst, emerald, ruby red, and sapphire blue to your natural colour. You can keep it subtle or with thin streaks or widen out for a bolder statement. For brunettes who want a sleek, ultra-modern style, this is it. Keep a few inches of dark roots while the rest of your hair transforms into a cool blend of blonde and gray. This colour works especially well for women with shorter styles. This colour is a terrific choice for women who want to get onboard with the gray trend while still keeping a natural look. Ash brown contains a mix of blue and gray to give brunettes that ashy, slight-gray appearance. What Are Your Favorite Hair Colour Trends? So, which of these trendy new styles is your favourite? Whatever your vision for your new hairstyle, we can make it happen. If you live in the greater Toronto area, please contact us with any questions or concerns. You can also use our online booking app to schedule an appointment.